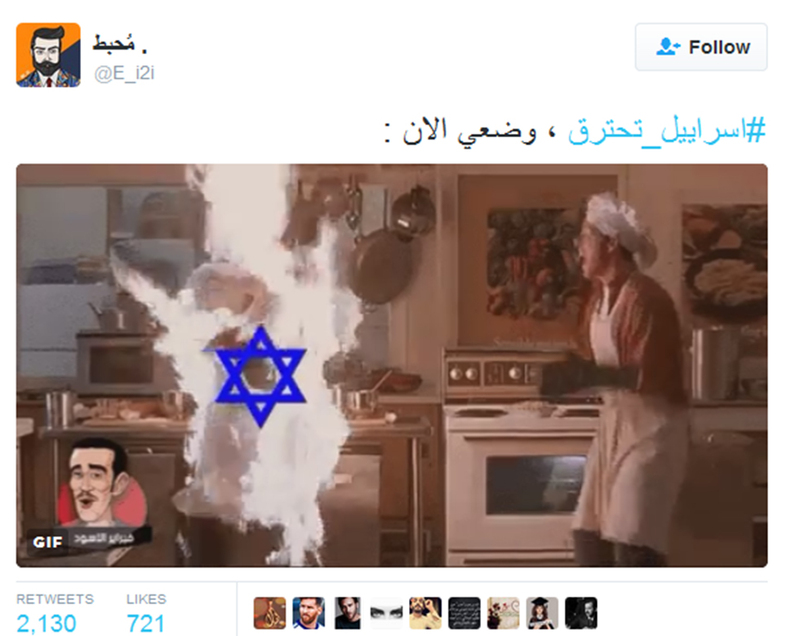 Dubai security chief tweets ‘Israel banned the muezzin and caught on fire,’ while Kuwaiti imam wishes ‘Best of luck to the fires :)’ and memes gloat over fires raging in Israel for the past three days. 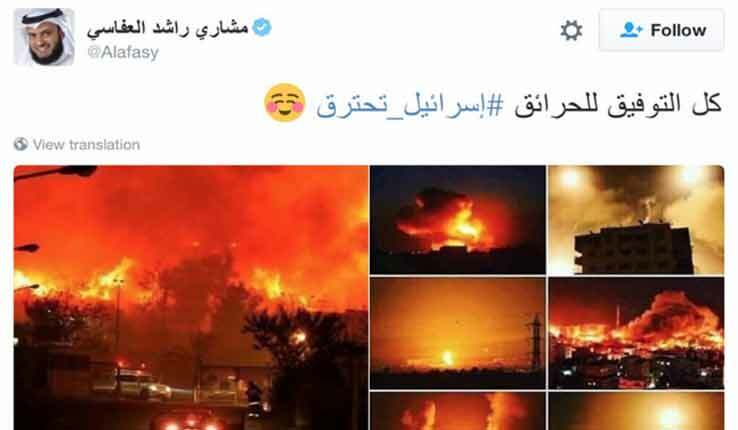 The hashtag “Israel is burning” or “the Zionist entity is burning” has become one of the top trends on Arab media over the past 24 hours, with countless of people gloating over the recent rash of fire plaguing Israel over the past three days. 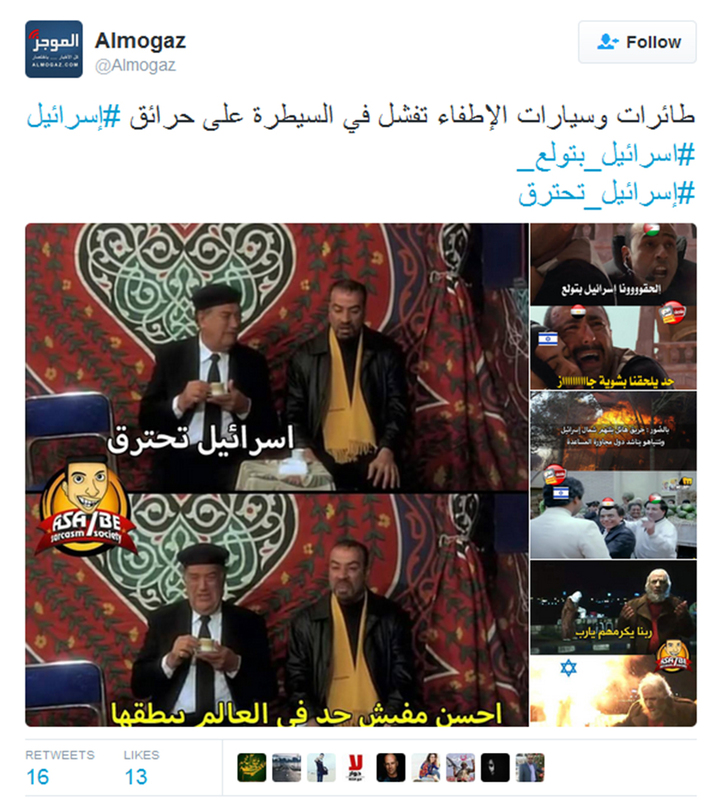 “They tried to ban the muezzin’s call, and Allah rained fire on them,” Hamas official Izzat al-Risheq tweeted. 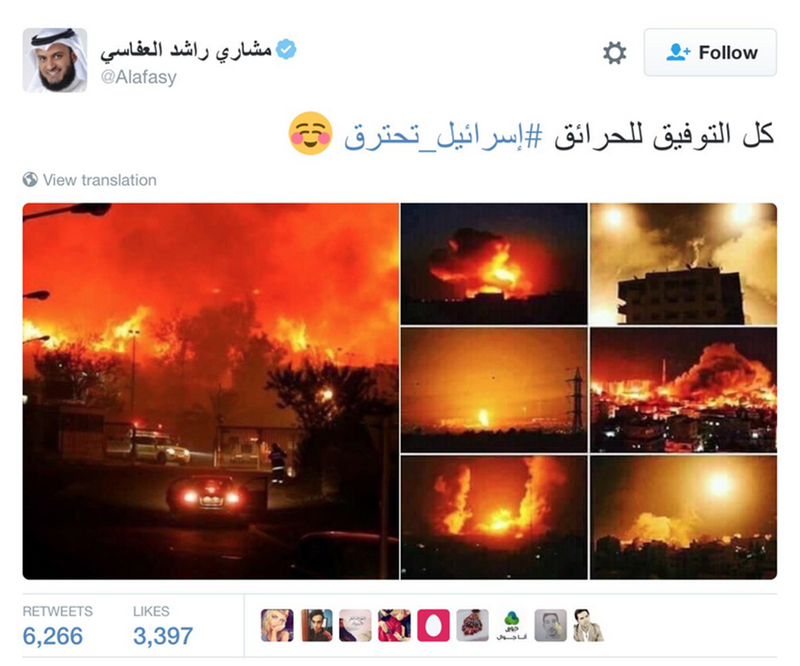 Some people posted their hopes that the fires would reach strategic facilities in Israel, like the Haifa Chemicals plants, gas storage facilities across the country, and IDF bases that have large arms depots. 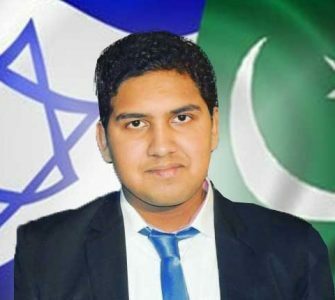 One of posters was the head of General Security in Dubai, Dhahi Khalfan Tamim, who headed the investigation into the assassination of Mahmoud Al-Mabhouh in a Dubai hotel room, which was attributed to Israel. As an Israeli Jew, I can tell that we create, build & prosper. 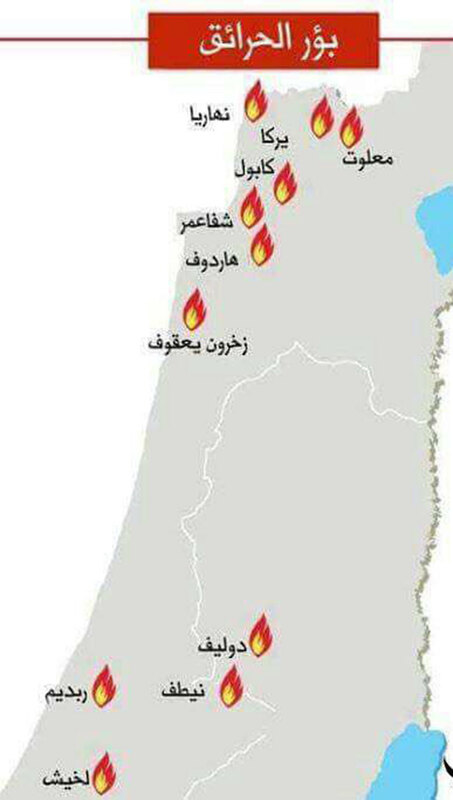 the trees that are so sadly burning were planted by Israelis & they will be planted again despite Arab hopes to see Israel burn to the ground. We can rebuild & make Israel flourish 10 times before a single neighborhood will be rebuilt in Syria or Iraq. 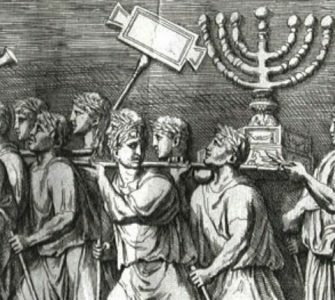 To the rejoicing Arabs, I have one thing to say, Jewish people were meant to hold a creative part in human civilization, what was the Arab contribution to mankind in the past few hundred years besides backwardness, ignorance & destruction. 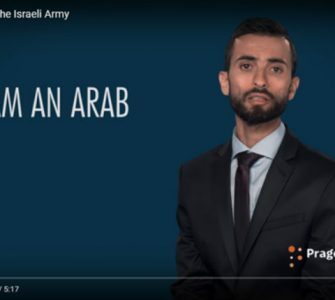 Even if the Arabs win they’ll be left with a world full of nothing. Arcetlis like this just make me want to visit your website even more.